Mega Sale! 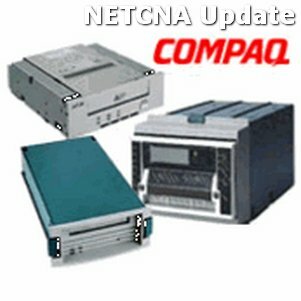 Save 25% on the HP 103550-001 12/24-GB DDS3 4mm DAT Compatible Product by NETCNA by NETCNA at Learning Delphi. MPN: NC_12830_SRV. Hurry! Limited time offer. Offer valid only while supplies last. DESIGNED FOR: 12/24GB DDS3 4mm Int DAT 8 CARTOption Part# 103550-001 DETAILS:96/192GB DDS3 8 Tape Internal. 96/192GB DDS3 8 Tape Internal tape drive. 96/192GB DDS3 8 Tape Internal. 96/192GB DDS3 8 Tape Internal tape drive. The 96/192 GB DAT DDS3 tape drive is a high performance low-cost tape backup solution for the corporate server market. The DDS3 tape drive is the next generation from a long line of DAT products. This drive offers 96GB native capacity with a transfer rate of 2.4MB/s and will utilize hardware data compression which can double these characteristics to 192GB and 4.8 MB/s. The DDS3 tape drive is the next generation from a long line of DAT products. This drive offers 96GB native capacity with a transfer rate of 2.4MB/s and will utilize hardware data compression which can double these characteristics to 192GB and 4.8 MB/s.